The “Law of Correspondences” is a greater subject than people are liable to suspect; yet we all know something of correspondences in the simple facts of nature - the seven colors of the spectrum, the seven notes of the scale. Each color of each octave corresponds to the same color of another octave. We see only a certain number of rates of vibration, but above the number perceptible to us are those too fine for us to perceive with our physical senses, and, also below, are vibrations too coarse for our perception. We stand in the middle, as it were, of a great range of perceptions, aware of only a portion of the universe in which we live. The same is true with regard to sounds - from the note do up to si ; do corresponds to every other do in the seven octaves which we are able to perceive physically; but these seven octaves are merely a portion of all the great octaves of nature above us and below us. There is correspondence between the high and the low throughout all nature, because the great Center of Life, of Consciousness, of Perception is the same in every being of whatever grade; and because from within that Center proceeds all action. The use of the power to act which is inherent in that Center is the cause of all manifestation. All things which are visible come from the invisible. In the evolution of a planet there is a beginning in homogeneous, radiant matter - such as composes the Milky Way - the basis of all subsequent forms that are brought about, or produced, by the beings existent in that homogeneous state. Each being is a Center and each Center is the same as the One Great Center. Proceeding from the same Source, necessarily, all beings proceed under the same laws. The same Law rules all beings. The power to act and the subsequent reaction - the law of laws which we know as Karma - is brought into operation by all beings to produce the manifested universe and all the differentiations in forms and substance. Thus there is a connection between each being and every other being. There is a correspondence between each being and every other being. There is a correspondence between the constituents of each being and the constituents of every other being. The law which rules the atoms of our world as well as the highest spiritual beings in it - that law inherent in the Center of each being - proceeds in a definite, orderly mode. This progress is known to be divided into seven degrees, or the septenary nature, from the states of fine matter down to the matter that we now know in the body. All beings go through forms in the various states, and not only do they go through them but they possess them at the present time. Man possesses every body which ever has existed for him in any stage of matter. But our planet is one of many planets. It exists in a solar system which is one of many solar systems. There are inhabitants of other planets - some of them below us in point of development, and others so much higher than we that if we knew the state of their progress we would esteem them divine beings. All beings of each and every planet are of the same Center and proceed under the same universal law of manifestation. 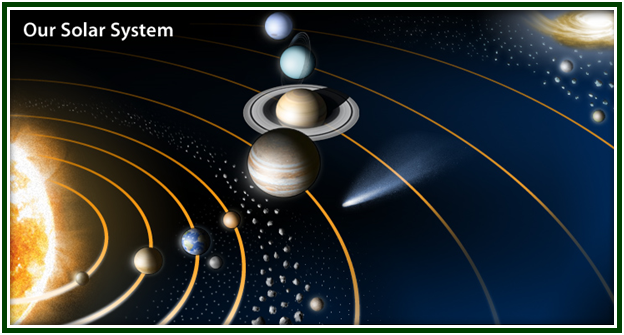 Thus, there is a correspondence between each and every planet: we are related to Mars, to Mercury, Venus, Jupiter, Saturn and the Moon by certain correspondences; in fact, there are organs in our bodies which correspond to the various planets. At the root of all these correspondences with planets, beings and states of matter, and behind all these points of attachment with every thing - the most minute as well as the coarsest - lies a tremendous, almost immeasurable SCIENCE related to all portions of the universe, to every state of matter and every plane of consciousness - a science which by our self-induced and self- devised efforts it is possible for us to attain within ourselves. For knowledge does not exist outside of us, nor does knowledge exist without the knowers of it. Always the knowers of the greater knowledge have achieved it through observation and experience. Those Beings who are greater than we are and who have handed down to us Theosophy - the science of life and the art of living - in the far distant past had to go through similar experiences to those we are now encountering. So again we see there is a correspondence in ourselves with those higher Beings, and, as well, with lower beings. We have to manifest as various classes of beings, some on higher planes and some on lower planes. The forms of the kingdoms below us are embodiments of minor grades of consciousness on their way up to our estate, which they will reach when we have progressed to still higher states, under the law of evolution. For evolution of form is always brought about by the extension of the Consciousness of the being inhabiting the form, and our own purpose, as spiritual beings connected with all states of matter, is to evolve a better and better instrument on this plane of being to correspond to, or be accessible to, those inner states of being and higher planes of consciousness which we all in reality possess. It may seem strange to us that we possess what we know nothing of, and that there are powers latent in us which in our present case we are unable to manifest. But we ought to see that we have the power to learn. We have the power to learn sciences of various kinds, or languages entirely different from those we now know. The power to learn is within us. We could not learn these things if they were new - that is, due to some formation of nature separate from ourselves. There is a power that we may gain over all nature, and use, for in fact nothing is of use by way of knowledge that cannot be practical for the true evolution of man, for the forwarding of humanity. There is a certain knowledge in the possession of some which relates to the occult sciences, to powers which we do not presently possess but which are latent in us - the reason for either latency or possession lying in the fact that this life is the reaping of what has gone on before. As day succeeds day and life succeeds life, as planet succeeds planet and solar system succeeds solar system, so we have come down through the immeasurable past to the present conditions - to conditions, let it be remembered, where spirit and matter conjoin, where man may become higher than any being in our solar system because he is conjoined with the lower kingdoms; because he may so increase his knowledge in connection with those lower kingdoms that he may raise them up and use the powers that exist there and are produced by beings of every grade. Let us remember, too, that even on this physical plane there are beings other than those we ordinarily see in mineral, vegetable, animal and human embodiments; there are invisible beings existing in what we call our air, in the ether, in electricity, in fire - for it is life everywhere in this universe; there is not a hand’s breadth of vacant “dead” space anywhere. However minute, visible or invisible, the forms of life may be, they are Centers of Consciousness, beginnings of perception, the beginnings of individuality - ever increasing from form to form until the human form is reached, and then, on and on. For we as human beings are not the product of this earth. Our bodies are; but as spiritual beings we were present before this earth was formed. Once more we have come down through the stairway of the seven worlds from that primal state which is the very Center of being, plus all that we had gained before in other worlds. We bring with us all that we have gained in similar states and planes of substance before, and go on with the world in each stage, just as we go on from day to day with our various occupations. Thus we may see that there is a continuity throughout the entire course of evolution; what we have to learn is that knowledge of it along the line of true correspondences will never be acquired by mere study, nor by information given us by any being or beings whatever. True knowledge has to be gained through an increasing perception of the universality of all law and the universal line of progress for every being of whatever grade. We have to think and practise altruism before the higher and more recondite powers of the universe can be placed in our possession for our use. The thought and the motive must be that which makes for the good of all beings. What has been given to us in the philosophy of Theosophy is for the purpose of arousing the attention of that Center within us which can see, which can know and which can do, when it resumes its own nature and status. For there is a deep knowledge of all these things in the soul of every human being and the soul knows what it needs; it can understand when the brain cannot understand; it can feel when the senses are not capable of transmitting feeling. This knowledge is open to every human being; but only when the mind that we now possess is in exact accord with the nature of the indwelling Spirit, shall we begin to see, from within outwards, all the lines of correspondence and relation that exist between us and all other beings. Only when we realize that we are a part of the Great Chain of being, that no one of us is unnecessary and no one can drop out, that the development is one for all, that we are all from the same Source and going towards the same goal; only when we shall think and act from that basis, will we move onward with the great force proceeding from the Center in that true direction which leads to enlightenment and power. The law of correspondences constitutes a science which is perhaps beyond the idea of any one of us. Can we realize that all beings are forces and all forces proceed from beings? Can we realize that there are forces or beings in nature which can be moved without the lifting of a finger - just by the thought, just by the will of one who knows the law of correspondences? Fortunate, indeed, it is that men as they are now constituted, with the wrong ideas that rule their actions, do not possess these powers which they could use against their fellow men! For is it not true that if we had them we would use them to blot out of existence many human beings who are running counter to our own ideas? And those beings are, just like ourselves, controlled by ideas foreign to the true progress of the whole and must meet the exact results of their wrong course of thought. Even without knowing it, perhaps, we may fight the battle of humanity merely by taking one idea of Theosophy - one universal idea - towards the freedom of the soul, and holding to that help. But we have to go much farther than that, which is but one step on the way. We have to realize within ourselves the kind of bodies, inner and outer, which we possess and the powers that belong to those bodies. We must bring those higher powers into operation through this physical body. We must build a higher and greater civilization than ever yet has existed. Whether it is accomplished in this or in ten million lives, whether we go straight to the goal or through suffering after suffering, it must ultimately be brought about. We are here for a great purpose. A great mission lies before every one of us, as well as a great knowledge. We are here as knowing, self-conscious beings, buried in, and identified with this body, with this matter. Involved in the very work we had to do on this plane of being, we have forgotten our own true natures. It behooves us to understand what our true nature is and to think and act in accordance with it. Let us remember, too, that “the true nature” is not far away; it is right within us - within our hearts. In the silence of our own hearts there pulsates that One Life, which beats in correspondence in the action of the lungs, the action of the tides, the flux and reflux which is going on all the time and everywhere in nature. Can we not see that the laws of correspondences are the same now that they were millions of years ago? Nor has humanity changed. We have changed the conditions surrounding us, but we ourselves are experiencing the same desires, the same feelings, the same stupidities which were ours millions of years ago. We have not advanced spiritually beyond the civilizations that are dead and gone, but in what we call “advancement” we have made merely another closer bond to physical existence. So there is much for us to do. We move from death to death until we realize our true natures and take the course pointed out by the Wise Men of all ages - the course by which They gained Their wisdom. 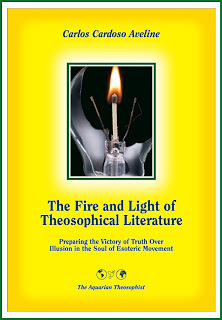 Theosophy was brought into the world to wake up the souls who are in the least degree susceptible to an awakening, to join that body of pilgrims moving on their way with their faces turned in the direction of the Masters of Wisdom, regardless of their present conditions, quickly or slowly clearing away their defects that they may be the pioneers and helpers and guides of the humanities that are to follow. Moving on with courage and confidence in the Great Beings, they gradually learn and come to a resumption of those powers which we all possess but do not express. Nor can one express in words the power, the happiness, the freedom from fear of any kind, the realization, while in a body, of immortality which spiritual knowledge brings. This knowledge and these powers are within the reach of all of us. As the ancients said, “The Great Self shines in all beings, but in all it does not shine forth.” We may reach that One Self, the One Spirit, whence come all law, all possibilities - which has the power to produce all changes, but of itself changes not at all - ever the experiencer, the enjoyer or the sufferer of the changes. Power comes from this knowledge, which springs up spontaneously within us because it resides in the innermost parts of our natures. The above article is reproduced from the volume “The Friendly Philosopher”, by Robert Crosbie, Theosophy Co., Los Angeles, 1945, pp. 283-290.